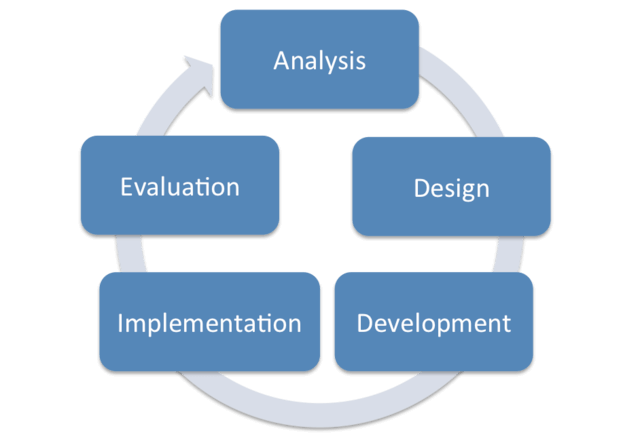 When designing elearning courses I mostly use the 5 stages of the Instructional Design model ADDIE. This stage involves me working with you to understand the learning outcomes of the module, target audience, style and format etc. Once all the requirements are clarified, I will then move to the design stage. The structure diagram will give an overall guide to how many modules, chapters and sections will be required. This document will then form the basis for the content gathering of images, text, video & audio clips etc which will make up each chapter and section. The storyboard will detail the text and images for each slide, as well as interactions for the learner and any audio scripts to be recorded. Content supplied is scrutinised to ensure it contributes to at least one of the learning outcomes, to avoid irrelevant content being included. Once the storyboard is signed off, the elearning development can begin. Initially the Alpha version of the course is developed. This will be reviewed by the client, who will provide feedback. After this the Beta version is produced which is the implementation of the changes requested. All being well the client will sign the project off as a Gold stage sign off, which is ready for release. The evaluation on the effectiveness of the training and to measure changes in behavior in the workplace is normally done in-house by the client, usually using the Kirkpatrick model. The requirement was develop a section in the elearning course on the values of scrap metals. The original information supplied was delivered as a plain PowerPoint slide. The slide showed the name of the metal and the value per tonne in a bulleted list. 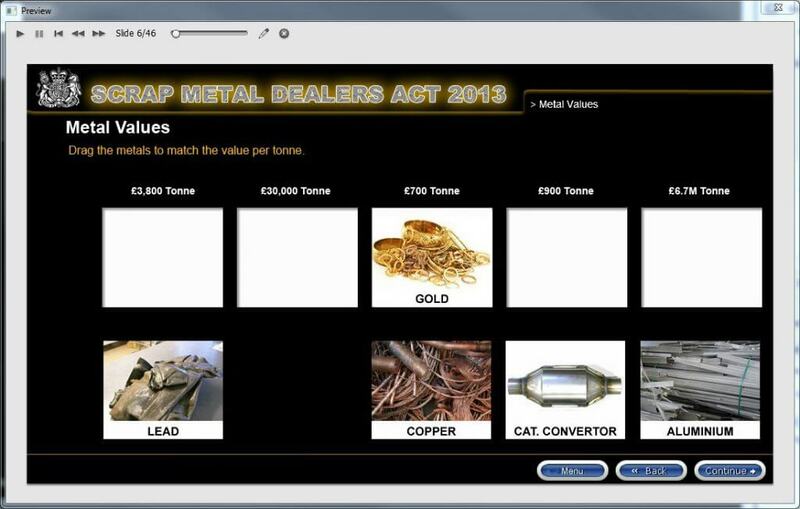 I designed this information as a drag and drop interaction in Captivate, requiring the learner to test their knowledge of what they thought about the value of scrap metal. 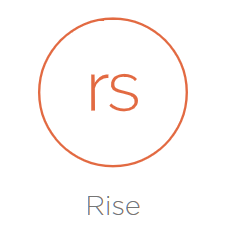 All projects developed in Storyline 360 or Articulate Rise are shared with you via Articulate Review platform. This enables you to see the product working and you can feedback review comments with a click of the mouse. See the video below on how this review process works. 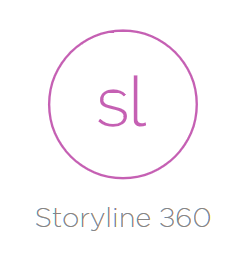 Storyline 360 is one of the popular authoring tools from Articulate, and is part of their 360 suite of applications for easily creating HTML5 elearning which works across all devices. The new responsive player dynamically adapts to tablet and smartphone screens, providing an optimal view of your course on every device.